Today’s freebie is huge. 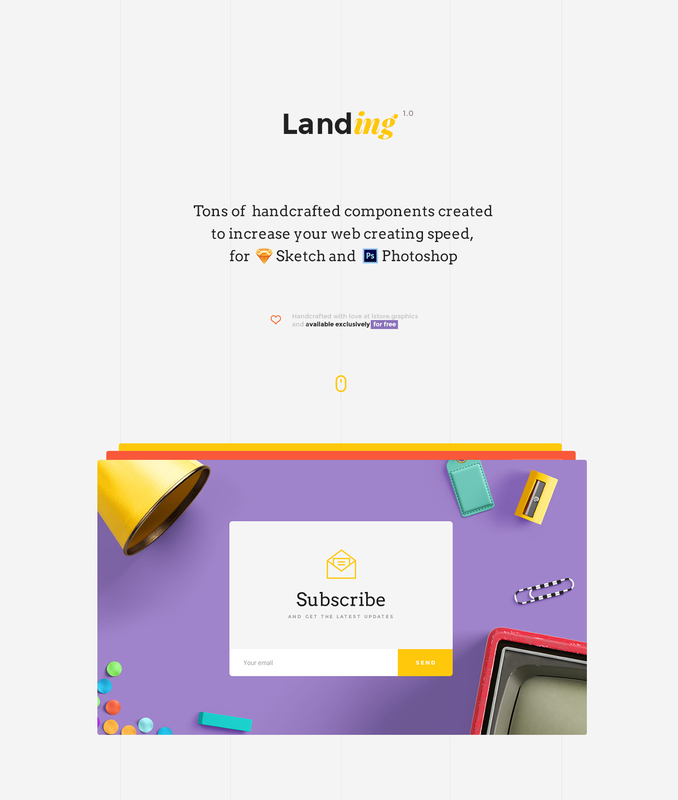 Here is Free Landing Page UI kit posted by LSTORE a few days ago. This generous resource contains over 80+ colourful and beautiful components as well as a number of ready to use Lading Page layouts. Comes in Photoshop & Sketch formats. Enjoy!